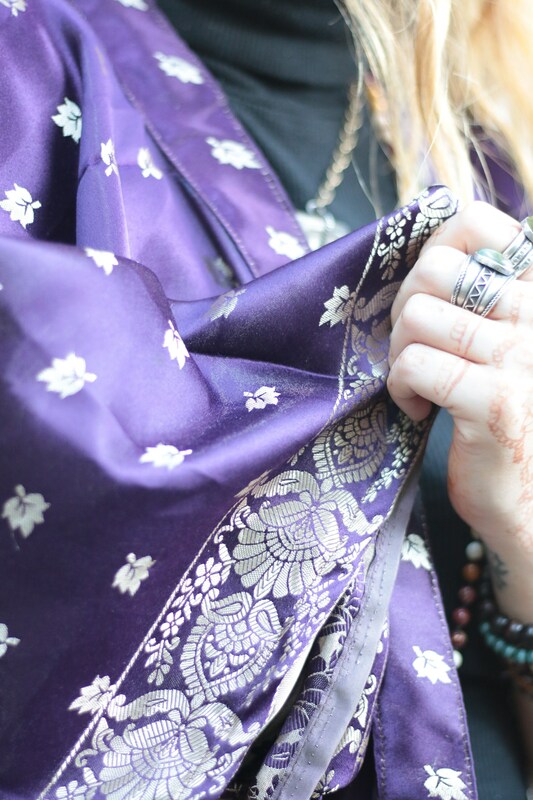 We love treasure hunting and spend our time in india sourcing beautiful traditional indian silks to turn into new up-cycled wearable creations for you. 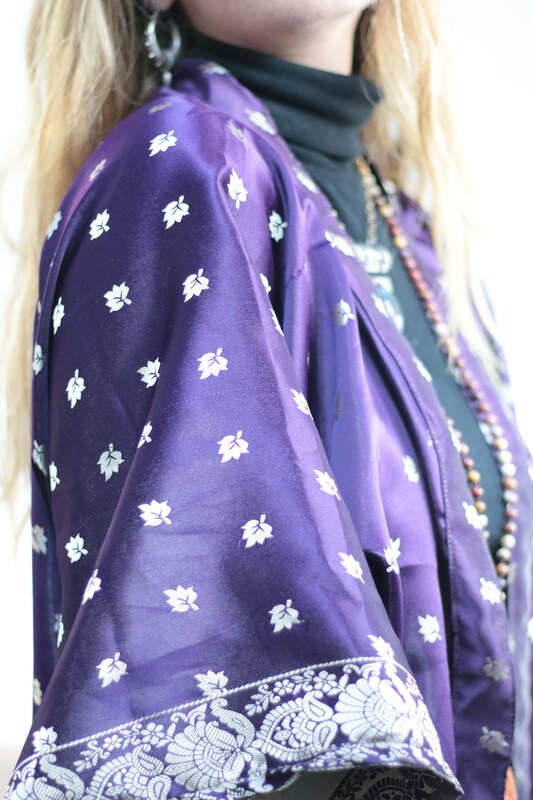 Each of our kimonos are totally bespoke and one of a kind, and this thick flowing full length kimono is no different! The fabric shimmers and shines and has beautiful traditional indian details. We only make a limited number of each style, and we only have ONE in each fabric meaning that NO TWO ARE EVER THE SAME making them just as unique as you are! This kimono is thick and flowing, making it a great summer festival jacket, and great to throw on over a winter outfit to add a pop of colour and bohemian charm! We love these handmade bespoke creations and hope you do too! * Please note all of our kimonos are handmade out of recycled and vintage fabrics so may show signs of wear or marks, these aren't defects but part of their history and journey to you.